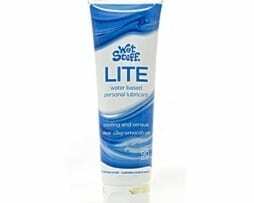 Wet Stuff Personal Lubricant - Slippery Stuff 100g A very smooth, water based finely textured lubricant, for sensual pleasure and all-over body massage. 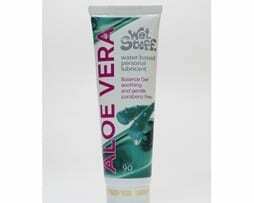 Slippery has excellent compatibility with body tissues, and can be used as a vaginal moisturiser. ✓ compatible with condoms ✓ hypoallergenic ✓ pH balanced ✓ easily and quickly changes to the pH of the body fluid ✓ ingestible ✓ low irritant formulation For fabrics, soak in water only, then rinse well before a normal wash. Sponge out of carpet with plain water. Very slippery if spilled; clean up immediately. Read the full label before use. Only use as directed. If irritation occurs, discontinue use; if it persists, consult a doctor. This product must be purchased and sent with a main product and cannot be purchased individually. Wet Stuff Plain with Vit. E 270ml Pump Pack PLAIN + VITAMIN E Wet Stuff is a long lasting, exquisitely textured water based lubricant with the added Vitamin E. This is a product that has it's devoted users and can be a lot of fun! No more need to stain the towels. 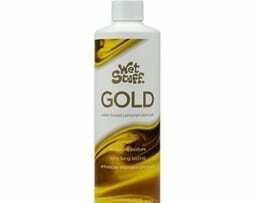 Like all Wet Stuff lubricants, it is designed for all types of body massage. Designed especially to supplement your nature lubricant, before or during play! Excellent compatibility with body tissues, does not alter natural pH. For fabrics, soak in water only, then rinse well before a normal wash. Sponge out of carpet with plain water. Very slippery if spilled; clean up immediately. Warning: Avoid use on broken or abraded skin. Not suitable for people who have had genital herpes. May increase the rate of STI transmission. Avoid contact with eyes. If irritation occurs, discontinue use and wash off in a soapy shower. If it continues, consult a doctor. Read the full label before use. Only use as directed. Like other products in this section, this product will not be sent unless you order another product from any other of the Main products from this site. For fabrics, soak in water only, then rinse well before a normal wash. Sponge out of carpet with plain water. Very slippery if spilled; clean up immediately. Read the full label before use. Only use as directed. If irritation occurs, discontinue use; if it persists, consult a doctor. Avoid use with silicone toys. Wash off in a soapy shower after use. Absorb spills immediately with paper towel. Wash from fabric or surfaces with hot soapy water. Remove stains with methylated spirits or dry cleaning fluid. Store in a cool, dry place at room temperature. Read the full label before use. Only use as directed. If irritation occurs, discontinue use; if it persists, consult a doctor. This product like others in this section will only be sent out if ordered with another Main product from within this site and cannot be purchased separately. Please note that this product will not be sent (or ordered) on it's own, It must be ordered as an addition to another Main product. For fabrics, soak in water only, then rinse well before a normal wash. Sponge out of carpet with plain water. Very slippery if spilled; clean up immediately. Read the full label before use. Only use as directed. This product and others in the section will not be sent out on their own , and must be made with another Main product from this site.